Universal Music have announced the release of 'Trials Of Eyeliner' is touted as the definitive overview and a career spanning 10 CD collection. Almond himself has personally curated the collection, allied to the 189-strong track listing. This anthology is divided into three themed sections. 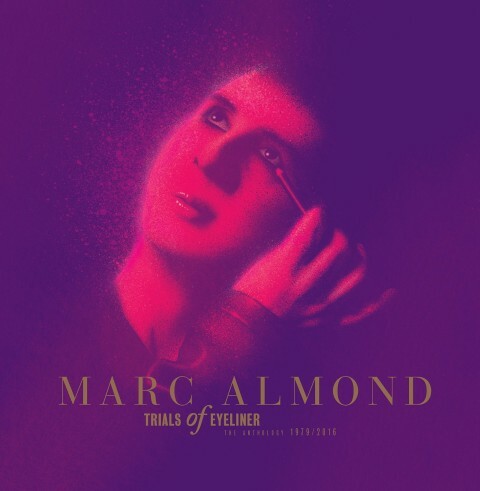 ‘History’ fills the first four discs with 72 of Almond’s favourite album tracks and B-sides, the three-CD ‘Singles’ section lines up all of his official Soft Cell, Marc And The Mambas and solo singles in pretty-much-chronological order and The last three CDs consists of ‘Gems’ – fan-only releases, one-off collaborations, soundtrack contributions etc. – and includes 18 tracks previously unreleased from Marc’s own collection. 'Trials Of Eyeliner' is set for release on October 28th, 2016. More info here.